Today is a very special day for us. We got our 1000th (free) user. For many of you this doesn’t sound huge, but for us, it’s a massive milestone. Looking back, getting here wasn’t really easy for us. Some companies hit the product market fit early on, others mastered the growth hacking. Reaching these sort of goals was child’s play for them. For us, it was a bumpy road with many issues, doubts and tough decisions. We started with an idea to build a better team work collaboration tool. A better Asana. We thought that just by creating a better UX, many will automatically see our value and give us that much needed advantage. Not really. At least not today. Maybe 5-6 years ago that could have been enough. Not anymore. We needed to reinvent the way people work and collaborate inside and outside of their company. We needed to be conceptually different than our competitors in order to succeed. That’s why we started building the most integrated collaboration tool out there. The idea behind Yanado is not to create that one single app for people to use in order to get their job done. No. Our mission with Yanado is to construct an ecosystem of integrated apps that works together to deliver seamless teamwork collaboration. Let me give you an example. Business people (sales, marketing, C-level execs, HR etc) are spending their work days inside an email client. Most of the time, they have to work together with non-business people such as developers, designers etc. In order to manage their work, they use tools like Asana, Trello, Kanbanize (ok, this is special mention for our friends from 11 family) to organize what needs to be done, what’s done and to track progress. The problem is, business people have to leave their everyday tool (email client) to go and check what’s going on. Also, developers and designers need to leave their everyday tools (Eclipse, NetBeans, Adobe stuff etc) to update their work and to check what to do next. All of them hate doing that. They don’t necessarily hate Asana (sorry guys). What they hate is leaving their comfort zone. In order to make them happy, Yanado has created an ecosystem that allows them to work inside of their favorite tool, and still have everything they need in order to collaborate with all types of external factors. 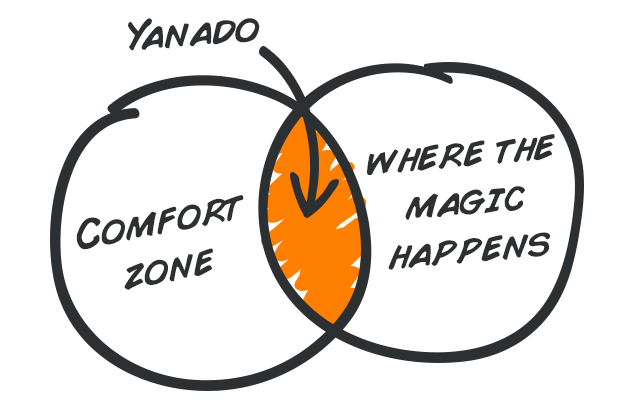 What this concept really does, is give people the opportunity to stay in their comfort zone. By using Yanado, business people will have the luxury to use their favorite email client and check what’s going on with their developers and designers, all at the same time. Developers will have everything they need inside oftheir beloved Eclipse (or whatever), designers, well, we still need to figure out how to help these guys. 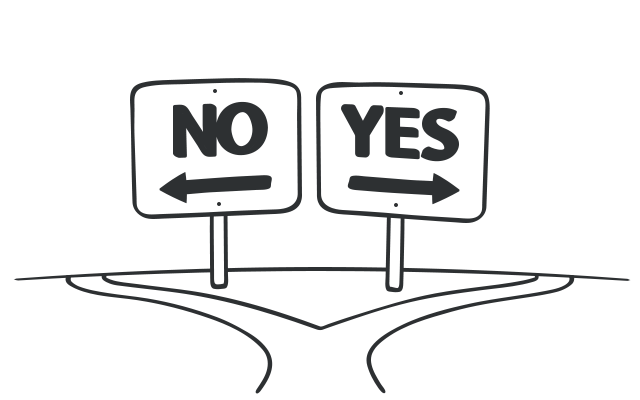 This might sound like a tough decision to make, but believe me – it wasn’t. It was clear as a whistle. At first, the consequences were huge, but we stilled believed that we made the right decision. Now, I will not go into details about our pivoting days. That’s a story for our next post. Be sure to read it, it might help you in your own current or future endeavor. The point of this post is to tell you how we started our startup journey with Yanado. Ok, I know, you might say we’re copying people from Groove, but it doesn’t really matter. What matters is that by telling our story from the trenches, people might learn something new and find the courage to do similar things by themselves. When I started my first business back in 2008, there weren’t much war stories on the internet that could help me. Ok, there was Joel on Software. You haven’t heard of his blog? Go read it all, read the entire thing and then come back to this. During this time, we made some good and bad calls. We’re gonna let you see all of them. I think we learned a lot from our experiences. We figured out what works for us, what doesn’t and what we need do everyday in order to build our business. Let me be honest. I’m hoping we’ll get something back from this. Besides our biggest hope that sharing these kind of information will bring us a lot of users, we are hoping people will also give us their feedback on our business efforts. We hope people will tell us what we did wrong and how to do it better. We’re hoping to learn. A lot. We are desperate to learn as much as we can. Not because we are clueless, but because the more we know, the more we value. Why 1000 Paying Customers And Where We Are Now? So, as you probably figured out by now, this will become the real time biography of Yanado. The real time reporting from the battlefield. We’ll share with you moments where we bleed, cry and smile. We’ll share everything. To put things in a more focused perspective, we set a couple of goals. Our biggest and most important one is reaching a number of 1000 paying customers. We believe that this magic number will serve as corner stone and send everyone a clear picture that we’re able to build a big and truly successful business. At this very moment, we have 0 (zero) paying customers and 1000 registered users. From this number, we have 46% MAU (monthly active users) and %38 WAU (weekly active users). We will not charge our users anything before we publish the first version of our teamwork collaboration tool. Even then, Yanado will still free for personal usage. As you can see, we have only just begun! I would like to seas this opportunity and thank our 1000th user Mario Nikolic for inspiring me to start a new chapter on our blog. 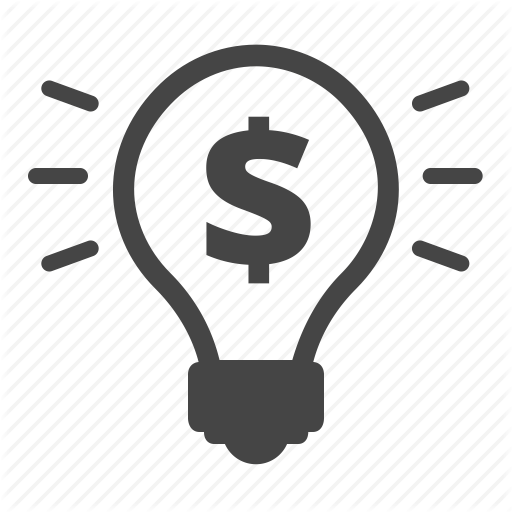 In the next post, I’ll show you what it look like when you pivot from a 95% completed product to a mock up, with almost no cash left in the bank. Your comments are more than welcomed. They are the reason we’re doing this, so please, write us some constructive feedback!